The holidays are closing in, and it’s time to ask yourself the hard question: Is your website a freeloader? Sure, we’ve all been schooled on the importance of having a website, but the existence of a site isn’t enough to assure that it’s doing its job. Paying a monthly bill for an inefficient site is a waste of money. Would you accept this behavior from one of your sales people? No, you’d kick’m to the curb. This article will help you ask the hard questions to find out if in fact your website is helpful, or a steaming pile of reindeer dung. Is Your Website Performing? Ask yourself these five questions to find out. According to statistics, 50.3% of all eCommerce traffic is completed over a mobile device. Simply put, shopping from small purchases via a phone or tablet is easier, faster, and more convenient. 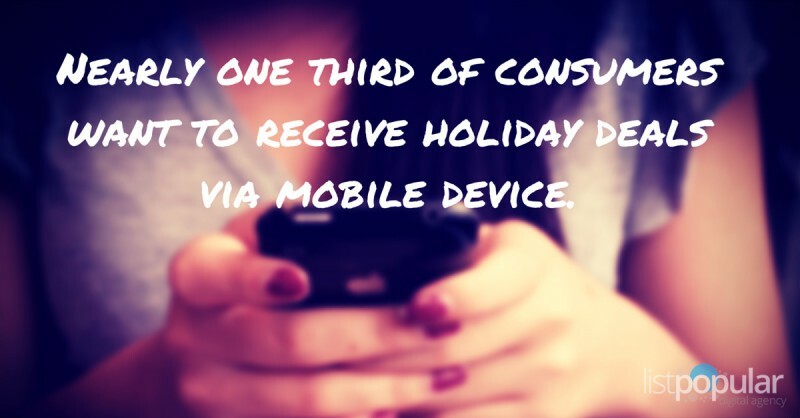 Every year, people continue to use their mobile devices to do more shopping online. Organizations need to recognize the need for websites that deliver a great user experience on a mobile device. Even if you have a great product and a fantastic website, if your site is not compatible with mobile devices, you risk losing a lot of potential customers this holiday season. According to statistics, 50.3% of all eCommerce traffic is completed over a mobile device. 2. Does Your Website Offer Products for Sale? When people go online to shop for a product, they don’t just want to hear about how great it is – they want to seal the deal and buy! Businesses that expect customers to call or visit a location to place an order are seriously cheating themselves. People like the ease of purchasing online. If you don’t offer customers a product that they can buy with the click of a few buttons, they will visit a different site that does. Statistics show that 92% of holiday shoppers will go online to either research or purchase gifts this season. To make sure that your business does more than just inform customers about a product, you need to provide them with an easy-to-use payment gateway. This means that your website needs to offer an online store that includes simple check-out options. P.S: If you want to attract even more customers, offer free shipping! 3. Does Your Website Include Inbound Marketing? Inbound marketing is an awesome tactic your business can use to help build those sought-after leads during the holiday season. Inbound works to attract customers to your website and products by providing them with information and offers that they will love. Rather than spending tons of money on vague advertising, Inbound marketing allows your company to reach out to specific buyer personas with content that is personalized, fresh, and interesting. – Does my website have landing pages that have great offers or discounts? – Does my website have calls to action? – Does my website have a blog? These are just three of the fantastic ways that you can reach out to customers and draw them in with Inbound marketing. 4. Is Your Website Search Engine Optimized? When you optimize your website for SEO, you increase the chances that you will actually be found by the customers you want to reach. After all, no matter how great your website might be, if your target customer base doesn’t know about it, you’re fighting a losing battle. SEO includes several different techniques to raise your website rankings on search engine results. Are you implementing page optimization by using keywords, alt tags, heading, etc. on your site? Even though keywords are losing their effectiveness, they are still an important tactic that can help when you carefully research them and make sure they are relevant to your buyer persona. Building links is also a great way to prove that your website is credible and increase its SEO results. If your website is weak in SEO, then it’s time for a remodel! 5.Does Your Website Have Growth-Driven Design? We all know how it goes: You labour over your website for few months, trying to make it just perfect and when you have it complete, you breathe a sigh of relief. But don’t start partying yet! If you want your website to flourish, you can’t just design it and leave it for three-four years without keeping up with the times. To keep customers happy and interested, you need to be continually working on your site, making improvements and giving it the chance to evolve to meet the needs of its visitors. With growth-driven design, you work alongside customers to discover what they want from your site and how you can best help them, then work to meet those needs, making your website even more reliable and increasing trust among those who visit it. You can make improvements through growth-driven design using Google analytics, a/b testing heat maps, etc. to analyze results and discover where you need to make improvements. By employing growth-driven design, you can make sure that your website is always running at optimal levels. Should I Fire The Freeloader? Your website should be making tangible sales just like a sales person. If your website is not providing your organization with consistent, valuable sales, then it’s time to “fire it” so to speak, and start optimizing it to meet your needs. If you’re not sure how to optimize your website for eCommerce, Inbound, mobile, etc., don’t worry; ListPopular has years of experience helping businesses build and optimize their websites. We’re here for you and ready to help get the most out of your website this holiday season. Don’t let your site sit stagnant, draining your bank account; instead, set it to work and let it bring in those needed sales for your organization by downloading our free eBook on the 14 Website Must Haves!